Use the catalog below to shop for new tires from well known brands including BFGoodrich, Michelin, Uniroyal, Bridgestone, Continental, Firestone, Goodyear, Hankook, Maxxis, Pirelli, and Toyo. You can shop by tire size, vehicle make and model or brand. As a premier tire shop in Phoenix, we consider it our duty to make sure that our customers are well aware of what is required to help guarantee their safety. In Phoenix, tires suffer almost primarily from exposure to the sun — and many drivers are not fully aware of how much impact a damaged tire can have on the safety and control of their vehicle. Especially for drivers in Phoenix, tire safety is a serious issue that only knowledge can help you manage. And who better to equip you with important knowledge than the Valley’s premier tire dealer? Looking at it objectively, your tires are what allow you to travel comfortably and safely. There are a few little known facts about tires that can really change the way that you think about their importance. The fact is, your tires are contacting the road in an area only about the size of your fully extended hand. If these contact points are not able to effectively grip the road, your ability to control your vehicle is severely compromised. The age of a tire has a lot to do with its effectiveness as well. As they age, the rubber wears down from use, climate, and sometimes external damage; over the course of several years, tires simply become unsafe and therefore useless. Buying tires isn’t probably something you look forward to, but it’s important that you visit a shop in Phoenix when your old ones start to go. The longer you drive on old, worn out tires, the greater the risk to you, your passengers, and your fellow motorists. With that being said, there are several ways to increase the life of your tires and keep them effective and safe for as long as possible. If you want to get the most miles out of your tires, practice these important tire maintenance tips. Rotate your tires - Rotation every 5,000 to 10,000 miles will do wonders in keeping the wear uniform across the tires. The reason that this is important is because your ability to control your vehicle depends on your tires gripping the road in an even manner. Tucker Tire & Auto can provide this important service to help extend the life of your tires. Maintain proper alignment - Proper alignment means that each of a vehicle’s tires are pointing in the same direction. Modern technology allows us determine and correct these measurements in scale of millimeters, rather than just a visual inspection or with rudimentary instruments. Let’s face it, new tires can get expensive, so don’t allow your tires to wear down prematurely by ignoring your alignment. If you notice that your vehicle is pulling to one side or experience steering wheel shake at highway speeds, visit us for an alignment. Don’t ignore suspension problems - Suspension systems not only make your driving experience more comfortable, but can ease the stress placed on your tires by absorbing the force of even the most minor changes in road surface. Just consider the physics of shock absorption and you can see how proper suspension makes a big difference in the life of your tires. Tucker Tire & Auto can perform any necessary adjustments or repairs to keep your suspension system in great shape. Of course, there are some things in life that we simply can’t control. Hitting a nail in the road is enough to deflate anyone’s mood, let alone the tire. 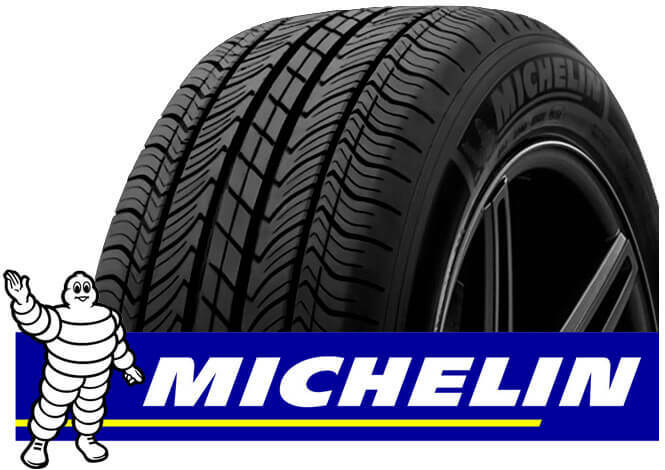 The good news is that in many cases, we are able to repair the tire safely and send you on your way at minimal cost. We understand that any investment you have made in your tires is an investment in your safety, and the experts at Tucker Tire & Auto can make sure that investment takes you as far as possible. If you need help selecting the best new tires for your vehicle, our staff of experts is on hand to make sure that you have the information you need to make the right choice. We don’t keep a sales staff, and our tires are not sold on commission. We are simply here to give you the knowledge to make the choice that is best for your needs. That’s just great customer service, and it’s one of the reasons we’re the Valley’s preferred tire dealer. Call us today to set up an appointment or if you would like a preliminary price quote. Our staff will be happy to help you with whatever you may need.